The 2017 American Ultimate Disc League starts on April 1st. There's still some improvements from last year needing to be addressed as this semi-pro ultimate league starts its 6th season. Many of these may sound like a broken record if you have followed past years' suggested improvements. Provide money reward for any recognition awards. AUDL players deserve both the recognition and the monetary gift with stellar plays. For any Top-10 play of the week, any sponsored play of the week or MVP(s), those laudable players should gain some coin. Broadcast all post-season games. Please don't (ever) repeat the debacle of not streaming the AUDL 2016 East Division playoffs. Without post-season broadcast coverage deems it unimportant to you as a sports league. Setup and use hashtags for each game (e.g. #DCBvRAL). This is common practice in our social media world. Assist fans with this simple add-on within your social media platforms. Teams should develop previews for each of their games. Build your own hype. The AUDL can only do so much hype managing its (now) 24 teams. Teams, you are on your own to develop content. Fortunately, AUDL is usually happy to share individual team content. Post a box score of your game. The quarter-by-quarter scoring breakdown is an acceptable visual for professional games. The AUDL's "Final score" tweets are ripe for adding a halftime score. Moreover, it's time for UltiAnalytics to make collected game data more fan-friendly. Post a full recap of week's games. Tell your story, AUDL teams! I don't know of any AUDL teams covered by their city's newspaper, so it's left up to self-promote. Upgrade team logo icons. 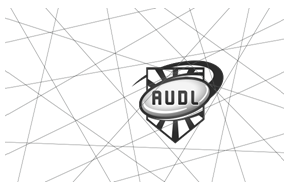 The thumbnail logos on the AUDL website do not scale well. They are barely legible and don't represent the professional sports league as well as they should. Track player data on Integrity Rules. The AUDL can boast about Integrity Rules, yet they don't have the data to back up its pomp. Which players and which teams call Integrity Rules? Isn't this unique aspect of our sports worthy noting within every game's box score?? 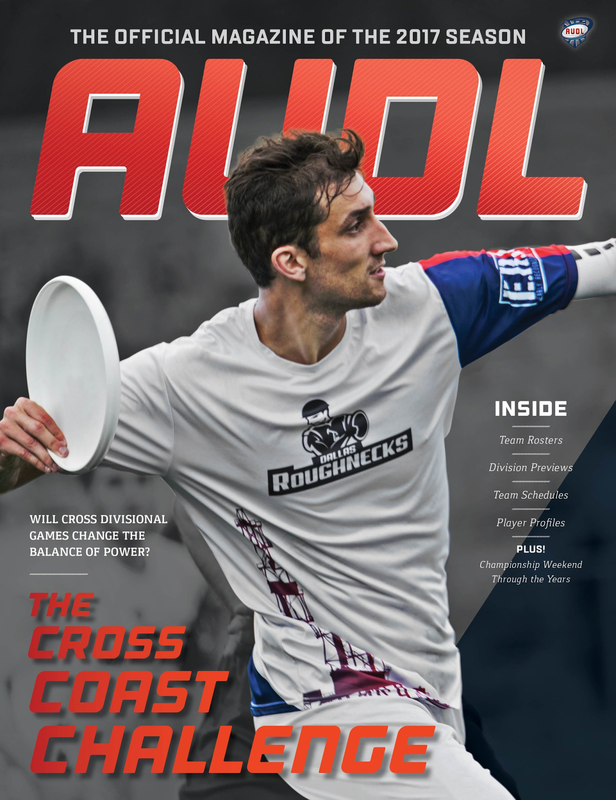 I have been a fan of American Ultimate Disc League since 2012 and have been covering the AUDL ever since. Below is the complete rankings of all team jerseys from the American Ultimate Disc League 2016 season. Consult the detailed evaluations by Eli Neugeboren for rationale. Tell your Major League Ultimate story! 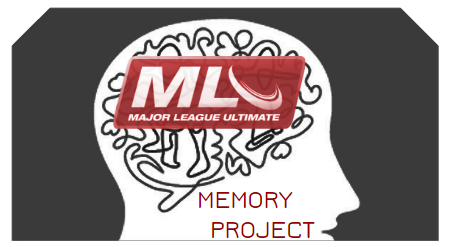 In an effort to preserve the history of Major League Ultimate, the MLU Memory Project has been launched. The MLU Memory Project is an independent public effort seeking to preserve the history of the MLU by collecting stories. MLU Memory Project seeks stories - funny, interesting, happy, sad, good times, bad times, wow times, weird moments, etc - about Major League Ultimate. MLU players! MLU fans! MLU refs! Staff from MLU teams! Bus drivers! Player parents! Photographers! Fan clubs! Videographers! Please contribute your MLU memories. This collection effort of user-generated content is meant to preserve the history of MLU. Submit your MLU memories today. The 6th season of American Ultimate Disc League starts on April 1 and runs until late August. A total of 24 teams within 4 divisions will play a 168 regulars season games. the majority of games will be played on Saturdays (111 games, 66%); there will be 45 games on Sunday and 12 Friday night games. 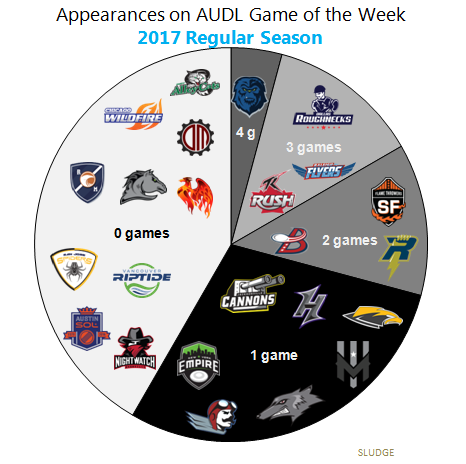 Here's a look at the AUDL's regular season of weekly games scheduled by division. The East Division starts their AUDL season in Week 2, while the South Division wraps up their regular season in Week 16. All 4 divisions concurrently play scheduled games except in Weeks 1, 3, and 17. Week 3 of the season has the fewest scheduled games; 2. The most games scheduled will be in Week 5 and in Week 10; both have 15 scheduled games. Week 16 has 4 scheduled games on Friday (July 14). Seattle Cascades play 4 Friday night games throughout the season. There are 4 inter-divisional regular season games scheduled. 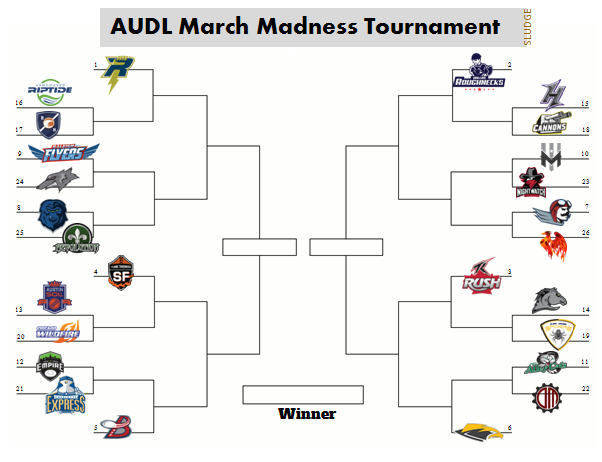 Another AUDL season begins on April 1st with 24 teams across 4 divisions. Here are just some of the questions I have about this season, which have been condensed to 17 questions about AUDL 2017. 1. Will Toronto Rush start its season with 2 losses? The Rush begin their AUDL season schedule on the road, again. The Rush also start the season (again) with back-to-back games. Rush take on New York Empire on Saturday and then D.C. (the only American-based AUDL East team to ever beat Toronto) the next day. Opening weekend for the AUDL East will set the tone for the rest of the season. 2. How will rookies perform in the AUDL? A bunch of former MLU players will be playing their first (rookie) season in the AUDL, plus there's always a handful of new ultimate players playing on the big AUDL field. Examples: L.A., Vancouver, Pittsburgh, Ottawa, Montreal. 3. Will the AUDL keep track of Integrity Rules this season? Ever since the 2012 season ended, I have called for this this-what-makes-our-sport-special player stat to be tracked. Maybe this will be the year. 4. Will Philadelphia Phoenix win a game this year? Philadelphia went (0-14) in 2016. With a revamped roster, the Phoenix will probably win at least one game in the AUDL East. 5. Might Nashville go winless this season? 6. Will Dallas be better than they were in 2016? 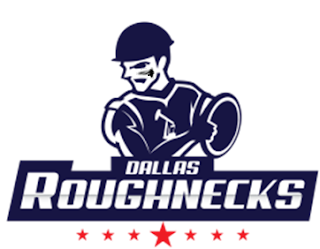 The perfect (17-0) Roughnecks record can't be better, but the Dallas roster could be better than last year after re-signing their core and picking up Jay Froude. 7. Will San Francisco finally win a Division Championships? The FlameThrowers have made the playoffs 3 consecutive years. The FTs posted 11 wins in 2016 and finished in first place of the West Division. Yet, the San Francisco AUDL team has never won a West Division Championship. 8. Will people pay to watch AUDL games online? Not just any games, but specifically four choice cross-divisional match-ups according to 2016 regular season finishes. Viewers can pay $5.00 per game or $10 for the 4-game Cross-Coast Challenge package. 9. How many teams will be sporting updated jerseys? There's always room for improvement based on the evaluation of the AUDL team jerseys from the 2016 season. Furthermore, jerseys are cool and all, but I'm ready to stock up on some american ULTIMATE disc league SHORTS. 10. Will any Midwest team be competitive against Madison? The Radicals have won 4 consecutive Midwest Division titles and are again in the zone to continue their Midwestern dynasty. 11. 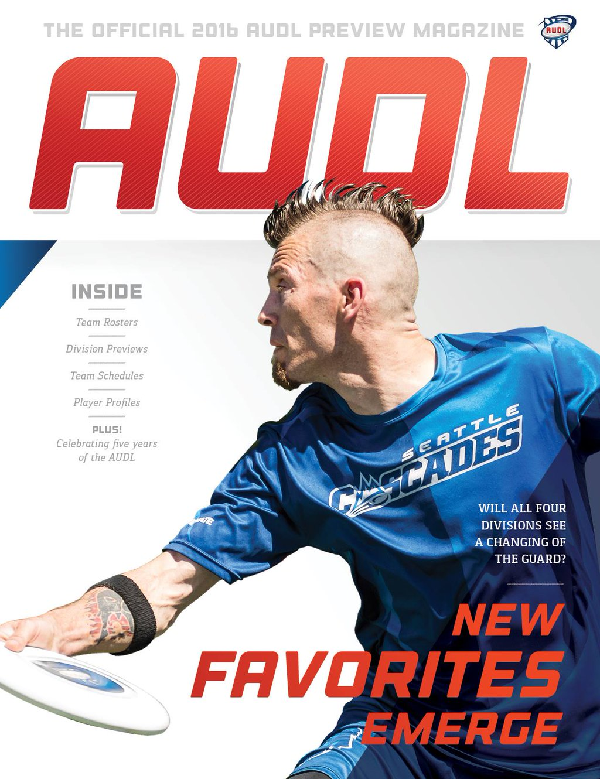 How will Seattle's roster mix work for the AUDL 2016 runner-up? After a successful 2016 season, Seattle changed up their roster composition. After an off-season divorce, the Cascades are actively playing the field with a blended roster. 12. How will WFDF 2017 World Championships of Beach Ultimate affect AUDL? Weeks 12 and 13 of the AUDL season occur during the same time as WFDF's WCBU. Top players from teams will be participating in the international beach ultimate event. In addition, The Eternal Spring Tournament in Colombia over Week 5 (April 28-30) is a big draw for top club teams. 13. Will not broadcasting on ESPN3 help or hurt the AUDL? Goodbye, ESPN3. Hello AUDL.tv. Fulcrum Media returns to capture the on-field action for AUDL Games of the Week. Utliworld will also be broadcasting a handful of AUDL games. 14. Whatever happened to the AUDL movement-tracking efforts? 15. How many SportsCenter highlights will AUDL have this season? The AUDL has been highlighted on SCTtop10 10+ times in 5 seasons. Of course, it would be most beneficial to have ESPN cover AUDL league play as part of its regular SportsCenter show. 16. How will a long break in between regular season and the AUDL championship weekend impact momentum for the AUDL's 6th season? It's gonna be a long AUDL season. The regular season ends July 23 and the Championship Weekend is over a month later on August 26-27. 17. Where will the Championship Weekend be held? It's known that it will take place IN Montreal. 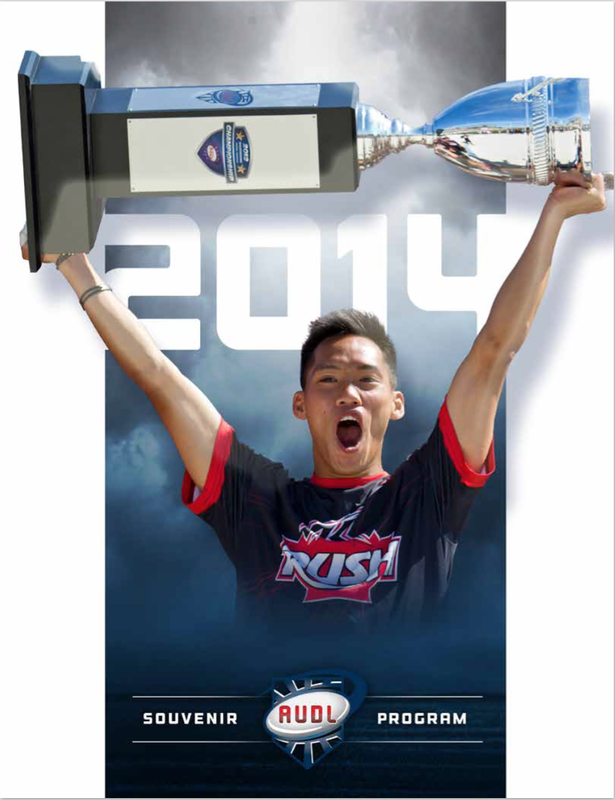 However, the actual field/stadium is suspiciously missing from AUDL's promo of the post-season event. Percival Molson Memorial Stadium was the Royal's home stadium until this year. Back in December 2016, I inquired with Jesse about trying out for the AUDL. We now have a definitive answer. 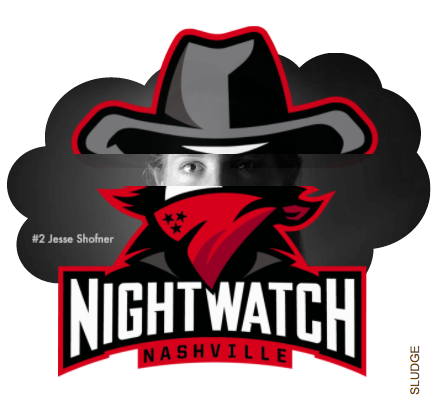 Jesse will be wearing #2 for her hometown AUDL team -- Nashville NightWatch. Jesse most recently played with D.C. Scandal in USA Ultimate's Triple Crown Tour 2016 season. Jesse's brother, Markham, currently is rostered on the D.C. Breeze. 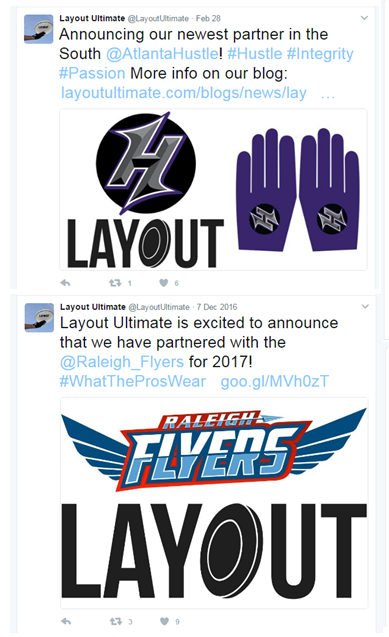 It's been over 3 months since Major League Ultimate stopped operations, which killed off its 8-team ultimate league after 4 seasons. Washington D.C. Current finished its MLU play with a (21-19) combined regular season record with a (2-1) postseason record. 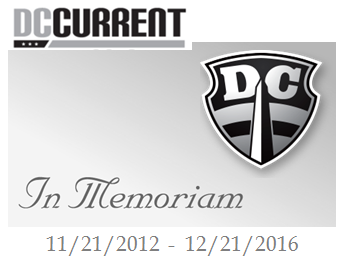 In 2014, the DC Current won the MLU Eastern Conference and went on to win the MLU Championship. I reached out to a bunch of people involved with the Washington D.C.'s MLU team asking for memories and stories about the Current. Below is a compilation of what they shared. I have lot of great memories from the Current. Probably too many to share. But here are some of my favorites. Standing in the tunnel for the 2014 MLU Championship versus Vancouver at PPL Park in Philadelphia. You could hear the crowd. There were 3,000 plus in those stands and it sounds like more. You had a feeling ultimate had arrived to the main stage. I looked at over at our head coach, Keven Moldenhauer, who actually taught me how to play when I was freshman at Salisbury University, and it was simply surreal. Goosebumps in its truest form. Winning was the icing on the cake. Opening night at the Dojo – April 19, 2014. It was the first home game I had the pleasure of running and it really could not have been a more perfect night. We had a packed house (I think it was just around 600) and the defending champ Whitecaps were coming down. DC had played them pretty tight in 2013 and we really felt like we could beat them if we had a few breaks. What happened was what would be remembered as the Hail Mary Hammer, a last second hammer from Peter Prial to a pile in the end zone, with Calvin Oung coming down with it for the score and win. First time Boston lost a game in MLU play and set the stage for our championship season. The fans. We had some of the best fans I have ever seen at a sporting event. From a group of JMU Hellfish essentially naming the stadium The Dojo – to our cowbells (an idea which Philly promptly stole) – to people just attending each week. Our home opener in 2015 was frigid with 30 MPH winds. You can look back at video and see a Chip Cobb pull hit a wall at about 25-30 yards and just come back. But we still managed 200 people there, freezing their butts off and heckling at every chance they got. I would see fans there each week that had no association with the team – not parents or friends of players – just fans. There was one guy who always would get a little turnt up at the beer cart and just heckle and pace around the corner of the fence cause he was so passionate. I will miss that stuff. Putting on a show that people loved and cared about no matter who wore the jersey. Putting on a show that people loved and cared about no matter who wore the [DC Current] jersey. One of our final road trips on 2016 was a double header to Boston and Philly. After we crossed the GW Bridge in NY, our driver got off on a parkway (not bus friendly) and said that it would be faster. Although we had a history of odd drivers and actually hitting bridges (ask someone from 2013 about that) this guys seemed like he knew what was up so I crossed my fingers and said OK. About 15 minutes later we clipped a toll booth, ripped the mirror off the side of the bus and ended up sitting in a Party City parking lot in Mt. Kisco, NY (lovely downtown by the way) for 6 hours waiting for a new mirror and then a new bus. The game in Boston was canceled (with both teams getting wins) and we got out of there to Philly where we played a hell of a game, but lost. It was both a frustrating experience but one that helped bring our team together in a way that we'd been hoping for all year. The final game for the Current. With the turf at Catholic University being replaced, we had to find a new home for our final 2 games in 2016. One was held at Washington Lee HS in Arlington on a cold and rainy night vs NY (we won), and one was at our practice field, Wilson HS in Tenlytown. We had nothing left to play for except pride and the Spinners were looking to lock up the No. 1 seed (I believe). We FINALLY had decent weather for a home game and 450 people packed that stadium. It was loud, it was fun, it was everything we needed to get fired up. We came out on fire but in Current fashion, but threw the game away in the final minute. It was pretty disappointing, but there was so much hope. The attitude of the team after that game was so much different that you expected. I had 3 players declare they would sign a contract that night because they loved this group of guys and knew how close were to turning the corner. I think that was evident with all our early signings. I was the last to leave the field that night and the lights literally turned off as I walked off the field. Eerie considering it was the last time I will ever do that. After the final game of the 2016 season, I had 3 players declare they would sign a contract that night because they loved this group of guys and knew how close were to turning the corner. My staff. We had the best staff in pro ultimate, I don't care what anyone says. They were the best to work with and made each game day more of a party than work. It didn't always go well. We had weather issues, internet issues, speaker issues, you name it we had it. But even on days where we had short numbers we were able to pull together and no one was the wiser. Ultimate is so much more about the people you meet than the sport itself sometimes, and I that staff whether it was their 15th game with us or their second, were awesome people worked their tail off. I'd have to say that my favorite moment for me, as an employee of the team, a sports fan, and someone who wants to progress the sport of ultimate, was the Current ending the Whitecaps undefeated streak. Besides the fact that it was my first official game as the team's PA Announcer, that was the most nerve racking game that I had ever been a part of in my history around ultimate. Besides the fact that it was my first official game as the team's PA Announcer, that was the most nerve racking game that I had ever been a part of in my history around ultimate. The significance of what it would mean beating the Whitecaps just made the game that much more exciting. It was back and forth the entire game, D.C. looking like they were the more talented team but could not quite piece everything together consistently and before everyone knew it the score was 17-17 with 30 seconds left. I was on my feet, along with the rest of the stadium, having to uncomfortably bend down because the pressbox windows were too low, but I was too anxious to sit. In the final possession I was thinking 'okay we have to score, but not too quickly otherwise they’ll be able to score,' I mean it was one of the best lines in D.C. ultimate history: Keegan, Wodatch, Kolick, Prial, Shofner, Oung, and Doi so there was no doubt we could get it done. 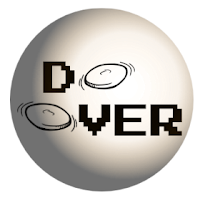 When Shofner's buzzer beater attempt when just over Doi's head, I was disappointed but then realized that there was a chance in overtime, except, for some reason, the referees were bringing the disc back to the throw. I realized that professional ultimate was more than just a thought and could be here to stay. In the moment I didn't realize that they actually called a foul (and I was supposed to be the one telling the crowd what was going on) but all of a sudden 10 seconds were back on the clock. When Peter Prial's hammer went off, it felt the entire crowd had enough time to get under the disc. Oung then came down with the disc and in that moment, with the crowd going bezerk in front and me shouting gibberish trying to say something profound over the microphone, I realized that professional ultimate was more than just a thought and could be here to stay. The entire experience of the 2014 Championship Game was pretty surreal from a player perspective. It was held at the PPL Park in Philly -- a real stadium, including pro lockers, amazing grass on the field, and our own "ultimate" field lines. I never really noticed them when we were playing, but it was pretty cool to have those. That year, we were an especially close team. The MLU East still drew in most of the top club talent that played pro, so it was a competitive year and we always seemed to find a way to win - beating Boston early in the season was the first time any of us had ever beaten a real Boston team. By the time we got to the championship game, we were very confident in ourselves and as a result had a lot of fun. Right before the teams took the field, both DC and Vancouver were lined up side by side in the tunnel beneath the stands. We were HYPED and acting ridiculous - shouting, doing pull-ups, singing stupid songs, yelling out nonsense and laughing super hard at ourselves and so forth. None of it was mean or even directly at Vancouver. We were just getting hyped. Playing on that field [for the 2014 MLU Championship game], seeing myself on the jumbotron was incredibly fun. We won the mental edge and came out of the gate red hot and never really looked back. Playing on that field, seeing myself on the jumbotron was incredibly fun -- certainly an experience I never expected to have. But if I have to boil all of that down to one memory, it's that minute or two right before we took the field and how insane we were acting and how it translated to the field immediately. It's hard to single out one story or memory of my time and experiences with the Current, but they all come back to a common theme, what an incredible and welcoming community there is in DC ultimate. ...this guy walking over from the Current side carrying a clipboard with a crazed look in his eyes...he starts saying that he refuses to play the game with the discs that are currently being used. My first experiences, however, didn't start put that way. That first season of MLU, when I was the GM for the Spinners, we opened up against DC, in DC. The reputation of the DC guys certainly preceded them, if I was to believe all I had heard. So, we arrive on the bus in Silver Spring and start preparing for the game. It's pretty chaotic, as this is the first game ever for the league, and we're all running around like crazy trying to get the place ready for the game. At one point, I'm standing over near the Spinners sideline, and here comes this guy walking over from the Current side carrying a clipboard with a crazed look in his eyes. Hmm, that must be Keven I think to myself, and I don't think that crazed look is because he's so excited to finally meet me. When he gets over to me, I don't even think we even say hello before he starts saying that he refuses to play the game with the discs that are currently being used. No, it's not the Innova versus Discraft debate, but rather that he thinks that the Innova discs are not the same as the ones they've been practicing with. Keven, of course, wound up being correct. Turns out that some of the discs that were shipped down were from an earlier mold and had gotten mixed in with the official final mold discs that we were supposed to be using. We were able to scrape together enough of the proper mold discs and move on. Crisis averted. Luckily, Sean Keegan and Nick Purifico held off on expressing their legendary bromance until the next Current vs Spinners game. I don't think I could have taken much more brotherly love that evening. Armed with that budding friendship, I got to double down on it in the off season when our investment group finally gets all our paperwork and legasese together and purchased our shares in the league. We choose DC as our team to take responsibility for. That winter, I went down to DC to meet with the guys to get us all introduced and answer any questions we all might have about one another. This was my first real taste of what was to come with my time in DC. We met that night over at Neeley's place and right from the start I felt welcomed as a member of their circle, no questions asked. The rest of that magical championship season was a blur of exciting victories, after game car bombs and, most importantly, developing friendships. Along the way, I also discovered a new set of idols of my own as I learned what an immensely talented group of guys this team was made up of. Besides the standouts like Alan, Markham and Rico, I really came to appreciate the talents of largely unheralded guys like David Cranston, Tom Doi and Danny Kantor and I tried to absorb what I was seeing from them on a weekly basis. When the championship game came around, I knew we had this game won before it even started. We were in the locker room before the game and instead of seeing a room full of nervous players, I witnessed a spontaneous rendition of John Denver's Take Me Home Country Roads by the entire team. It was giddy, goofy and just full of so much joy. It completely personified what I had come to learn about this team all season. When the championship game came around, I knew we had this game won before it even started. My last season with the Current really showed me the depth of talent that is in the DC area. This last season was a rebuilding year for the team and we had a 3 year plan in place to get us back to the championship. This was such a young team, built on top of a core group of loyal Current veterans. It was a privilege watching this group of talented young men blossom and grow during that season. If given the luxury of time, I know that this team would have met all the goals that were set out for it. The talent and dedication were all there and I was so looking forward to taking that journey with all of them. The fact that we were not able to give this team that chance is one of my biggest regrets in all of this. I experienced the Current and the MLU as a player-coach, coach, and player and I have so many great memories. I can still picture the first talk I had with potential players season #1 during one of our 5am tryout sessions. I remember thinking to myself that this is really happening and how lucky I was to be a part of it....Overall the MLU was one of the best experiences in my life. I remember thinking to myself that this is really happening and how lucky I was to be a part of it. I remember several crazy bus rides and getting the opportunity to talk and bonding with young men who I respect and care about. Walking out onto the field during the MLU championship and seeing all the fans and believing in the potential for the sport. Last year (2016) it was extra special to have the opportunity to cleat up with a new cast of characters. As my career winds down it was so rewarding to play next to and with players beginning their ultimate careers. Also, I am so thankful for having the chance to work with [GM] Dewey and [Coach] Will [Smolinski]. Two men that care deeply about our sport. Overall the MLU was one of the best experiences in my life. I guess the best memory was 2014 when we won the Championship. I think everyone expected Boston to win it again, but our defense really was the driving point for a lot of those wins. The best part as a whole was playing in front of fans, especially the youth, who looked up to you as someone they could learn after and want to emulate. 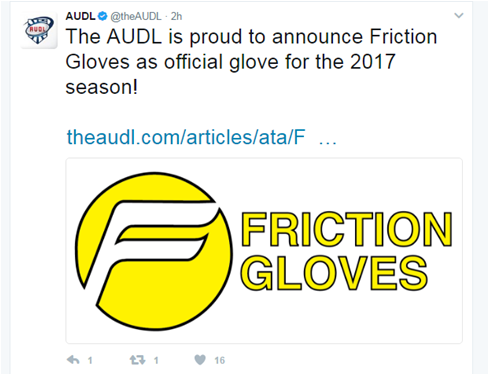 Friction Gloves was announced as the official glove for the 2017 AUDL season. According to Friction's website: "Friction Gloves help eliminate slippage on both throws and catches when the disc is wet, keep your hands warm in cold weather, and ease the sting of zippy throws." 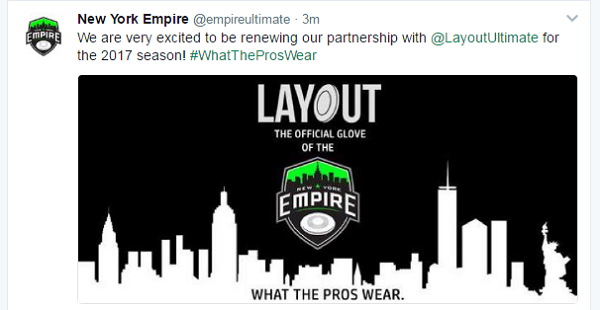 What's confusing about this American Ultimate Disc League partner news is that individual league teams have already partnered with a rival ultimate glove company - Layout (Ultimate Frisbee Gloves). 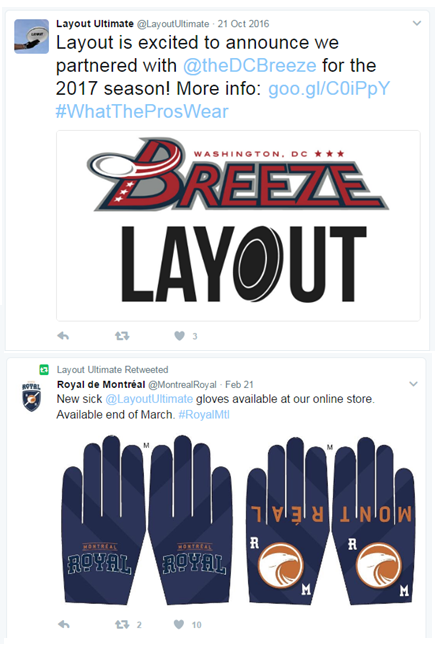 Within the last several months, Atlanta Hustle, Raleigh Flyers, DC Breeze, Montreal Royal, New York Empire and Madison Radicals have custom team gloves via Layout. Plenty of ways to slice and dice the 20-player initial U.S, Ultimate National team roster for The World Games 2017. Coaches Ghesquiere and Tsang have tough choices to narrow down the final 14-person roster. One way to analyze players is how the players performed at the most recent international ultimate competition - WFDF's World Ultimate (& Guts) Championship(s). 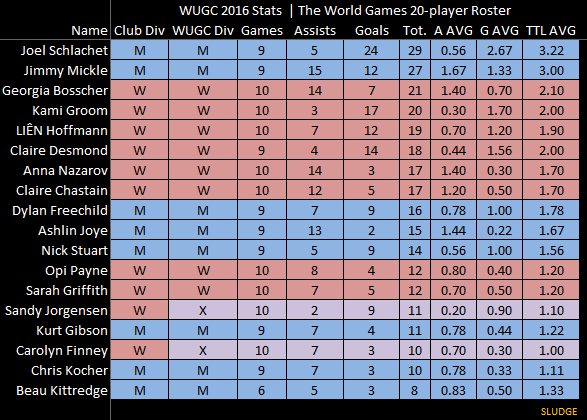 Eighteen of the 20 players selected played in London during the WUGC international event. NOTES: Defensive stats were not available. 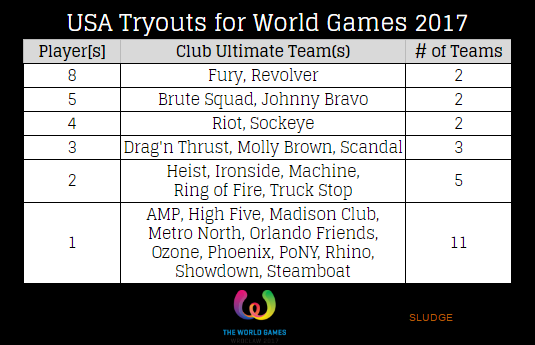 Twenty players were chosen by USA Ultimate from The World Games tryout. The final roster will be 14 players (7 male, 7 female) for the co-ed team to represent the US in Poland. 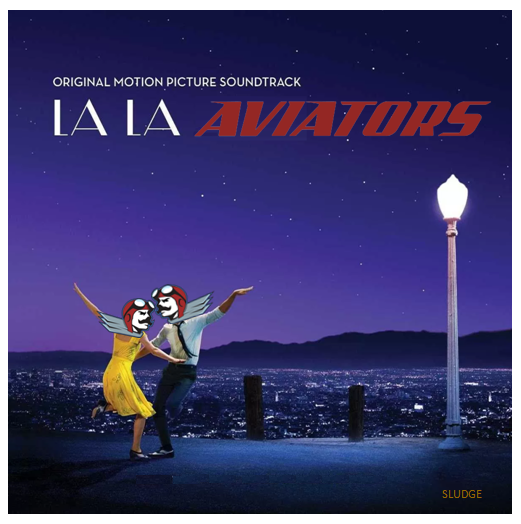 Congrats to: Anna Nazarov, Ashlin Joye, Beau Kittredge, Carolyn Finney, Chris Kocher, Claire Chastain, Claire Desmond, Dylan Freechild, George Stubbs, Georgia Bosscher, Grant Lindsley, Jimmy Mickle, Joel Schlachet, Kami Groom, Kurt Gibson, LIÊN Hoffmann, Nick Stuart, Opi Payne, Sandy Jorgensen, Sarah Griffith. 4 = # of players who have a birthday in June. 8 = # of players who reside in the same state where they grew up. 12 = # of different club ultimate teams represented. A Jeopardy! contestant from last week talked about how he and his wife met via ultimate frisbee. The conversation starts innocently enough for Grant McSheffrey (a software developer from Ottawa, Ontario) and then Alex Trebeck lands a zinger about the sport of ultimate. 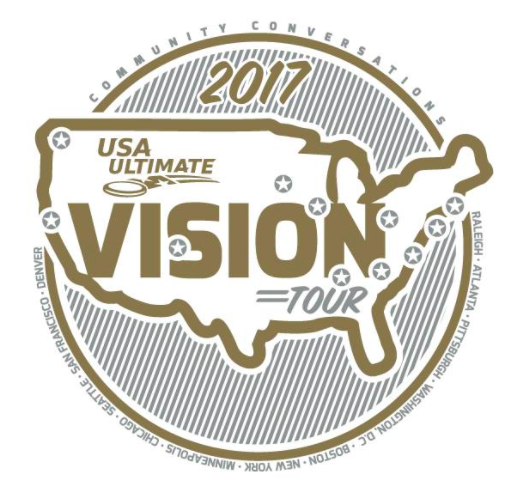 USA Ultimate is on the road to converse with the ultimate community in conjunction with their upcoming strategic management planning efforts. 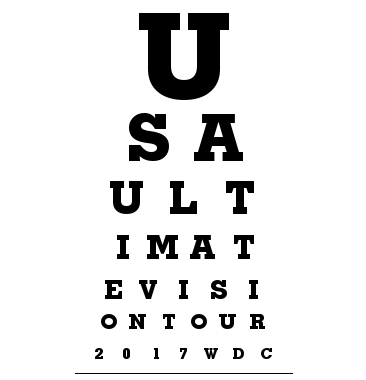 Washington, D.C. is one of the 11 cities on USAU''s Vision Tour. WHAT: An evening of conversations with members of the Washington Area (Frisbee Club) community to discuss and learn more about your short- and long-term visions for the sport of ultimate. WHO: All of the sport's stakeholders, including athletes, coaches, educators, parents, volunteers, observers, local organizers, sponsors, licensees, media entities and more are encouraged to attend and provide feedback. There has been two different teams to win their division championship within each of the four AUDL Divisions (Midwest, East, West, South) since 2012. Two teams are four-time Division Champions - Toronto Rush (East Division) and Madison Radicals (Midwest Division). Dallas (South) and Seattle (West) are first-time Division Champs, as of the 2016 season. 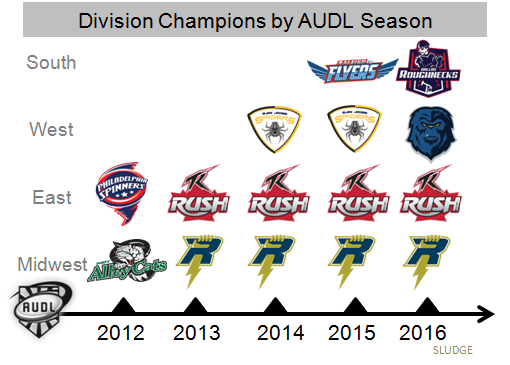 After five seasons, an AUDL division championship is an exclusive club; a total of eight (8) teams have ever won an AUDL division championship since 2012. 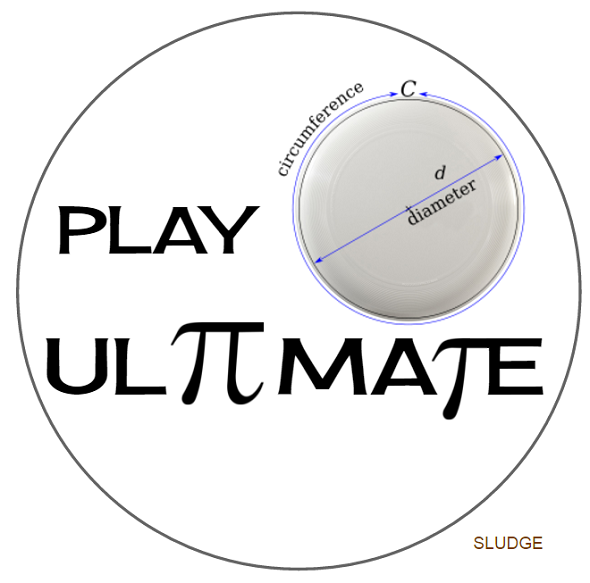 Today for Pi Day, you are (again) encouraged to play ultimate! NOTES: All 26 AUDL teams from 2016 were included. Currently there are 24 teams in the 2017 season. 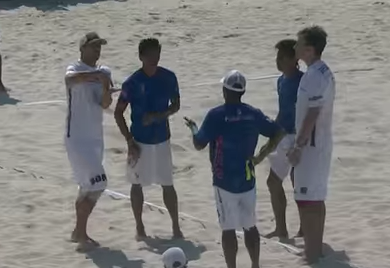 On this day in 2015....oh, what a thrilling men's semifinal game between Team USA and Boracay Dragons (Philippines) from 2015 World Championships of Beach Ultimate. The strong wind made this a game of throwing into the wind, reading the blade-y discs, and catching fast-moving plastic. USA took the first point (1-0), then was down 2 goals (3-5), took the lead back (7-5), and then Boracay Dragons came back to with 2 goals. The game was tied at 7's FOR A LOOOONG TIME. Whichever teams scored the next goal would win a trip to the WCBU finals. Watch the entire beach ultimate game. Or, start watching at double-game point @ 54:32. This game is infamous for the Spirit of the Game timeout called. If a team's captain believes that either or both teams are failing to follow the Spirit of the Game (SOTG), they may call a "Spirit of the Game Time-out." 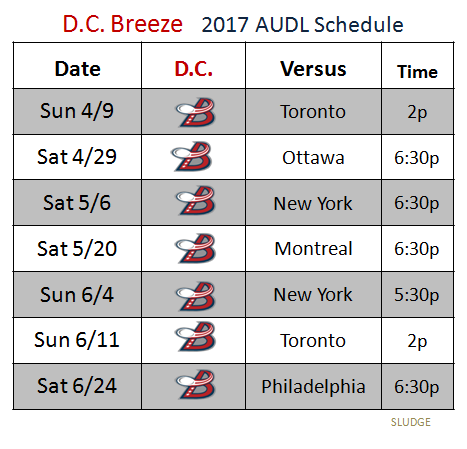 Game times have been added to the seven D.C. Breeze home games. All Saturday games start at 6:30 PM, both Toronto games are scheduled for Sundays @ 2:00 PM, and the June game versus NEW York Empire starts at 5:30 PM. Tryouts for 2017 U.S. National Team that will compete at the World Games are scheduled for this weekend (March 11-12) in Dallas, Texas. There have been some changes to the tryout list since the original invite list was announced. USA's roster for the co-ed national team will be trimmed down from sixty-four (64) players planning to tryout and then eventually finalized to 14 (7 men + 7 women). Of the 64 players at the tryout, the Men's club division is represented with 30 players (46.9%); the Women's club division sends 28 player (43.8%). The Mixed club division sends just 6 players (9.4%). Again, the final U.S. team roster will be competing in the flying disc competition, which is mixed (co-ed). 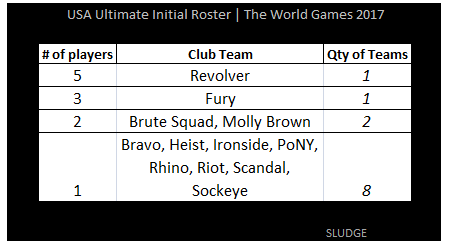 A total of 25 club ultimate teams will be represented at the tryouts. A combined sixteen (16) players from the Bay Area teams of Fury (8 players) and Revolver (8 players) are trying out. Eleven (11) club ultimate teams are sending one player. NOTE: Player data (from USAU) was of the "most recent" club team. Players from seventeen (17) states and the District of Columbia are travelling to Dallas for the tryouts California sends the most players to tryout for The Worlds Games with 16; followed by Washington and Colorado (7 players each), then Massachusetts and North Carolina - both with 5 each. Washington, D.C. sends 4 players. Minneapolis Drag'n Thrust provides a compilation video of highlights featuring women players in the mixed division. Footage is from 2016 USA Ultimate Club Nationals, expertly captured by Charlie Foxtrot Films. Dylan Freechild re-signed with Dallas Roughnecks for the AUDL 2017 season. Freechild, who is known to use a heavy dose of eye black, was a member of the Dallas 2016 AUDL championship team. A few days before the official announcement, our direct inquiry into Dylan's AUDL playing status went unanswered. @theSPIKEZILLA which #AUDL team(s) are you considering playing for in 2017? Below is an expanded visual for American Ultimate Disc League's schedule of broadcast games via AUDL.tv. All of the 2017 regular season Game of the Week matches (by Fulcrum Media Group) + bonus coverage (by Ultiworld) will total 21* games. NOTES: Regular season games only. *Ultiworld's coverage of weeks 16 + 17 (flex schedule, team TBD) are not accounted for. The American Ultimate Disc League announced their live broadcast schedule for the 2017 season. A total of 13 regular season games plus some postseason games will be broadcast. In 2015, AUDL streamed 12 regular season games on ESPN3. The majority of 2017 teams will have at least one game live streamed on AUDL.tv, but not all. 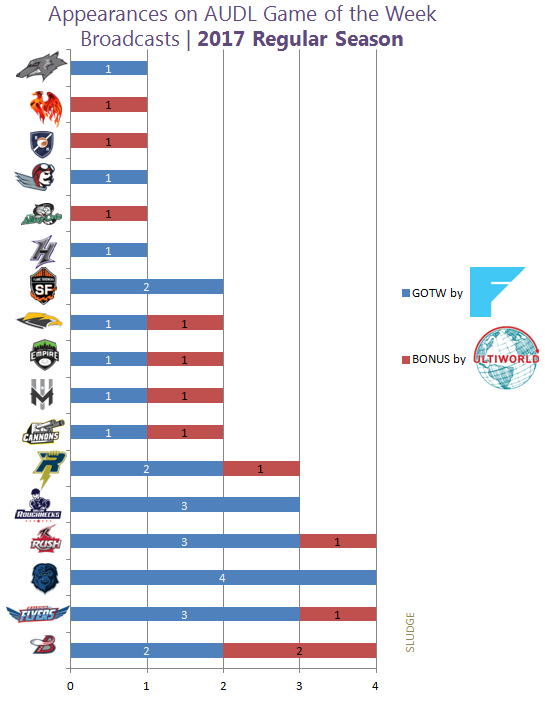 The AUDL West Division and AUDL South Division have the most appearances with 8 each (31% per). 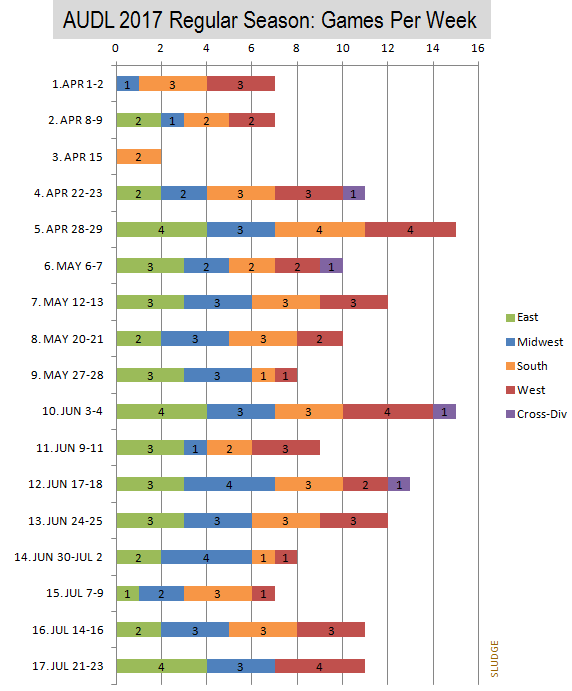 The East Division appears 6 times (23%) and the Midwest Division appears the least number of times at 4 (15%). There are four cross-divisional games scheduled in 2017. Two (2) teams with a losing record in 2016, and missed the playoffs - San Diego (2-12) and Jacksonville Cannons (5-9) - have a GOTW appearance. The two remaining original (2012) AUDL franchises - AlleyCats, Mechanix - will not have a GOTW appearance. Again. All 10 of the AUDL teams without an appearance on the GOTW 2017 broadcasts did not make it to the 2016 playoffs. All 1st and 2nd place finishers in the regular season of their respective division appear in at least 2 GOTW games. Ultiworld will provide bonus coverage (not accounted in pie graph above) beyond the AUDL Game of the Week broadcasts. NOTE: Regular season games only. A college ultimate tournament will be taking place this weekend at the site of many WAFC's league games - Anacostia Park. 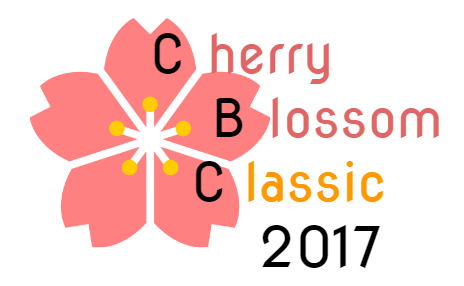 The YLee Coyotes from Yorktown/Washington-Lee High Schools will also be competing. The American University Dirty Ladies are hosting the ultimate tournament for which is USA Ultimate Sanctioned. Fun Fact: There's a roller skating pavilion at Anacostia Park. The American Ultimate Disc League has offered a printed periodical prior since the 2014 season. Each has gone by a different name - souvenir program (2014), season program (2015), preview magazine (2016), official magazine (2017). See below for the covers of the annual publication. Toronto Rush have been featured on the cover twice (2014, 2015), and each of these teams have been on the cover once: Madison Radicals (2015), Seattle Cascades (2016), Raleigh Flyers (2015), Dallas Roughnecks (2017) and San Jose Spiders (2015). 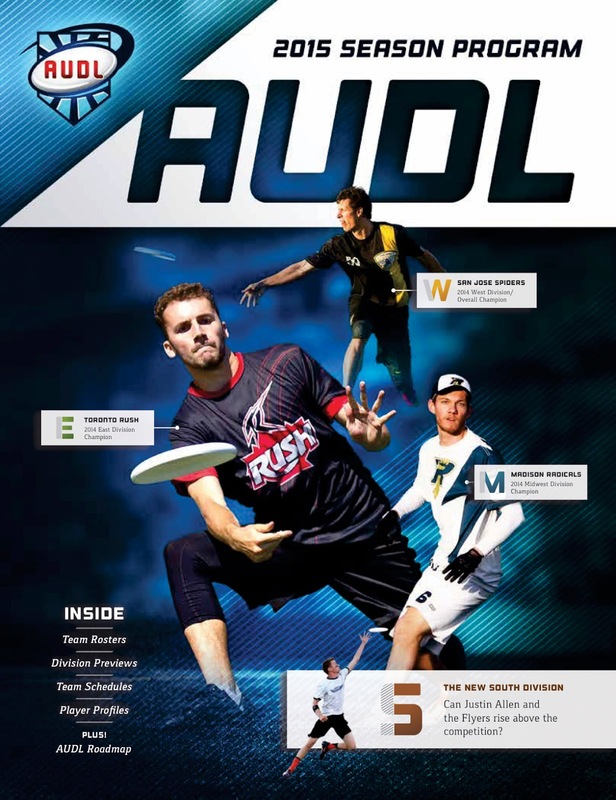 The 2017 AUDL mag can be purchased at the AUDL Store.